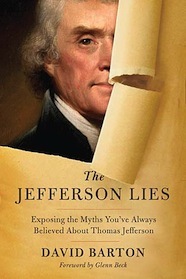 Readers of the History News Network have voted David Barton's The Jefferson Lies: Exposing the Myths You've Always Believe About Thomas Jefferson the least credible history book in print in a week-long HNN poll. The book edged out Howard Zinn's A People's History of the United States by nine votes at the end of polling -- 650 votes versus 641. Commenters criticized the book for its gross factual errors and political agenda -- in an email to HNN, Warren Throckmorton and Michael Coulter, professors at Grove City College and authors of Getting Jefferson Right: Fact Checking Claims about Our Third President, wrote that "Barton misrepresents and distorts a host of Jefferson's ideas and actions, particularly his views and practices regarding religion, slavery and church-state relations." A commenter on HNN's boards noted that the book "looks like an intentional attempt to mislead and decieve in the guise of history. " However, the most intense discussion -- on HNN's boards, at least -- centered on the runner-up, Zinn's A People's History, with some commenters on one end condemning the book as "cheap propaganda" and "the historians equivalent of medical malpractice"; others took a more moderate line, criticizing the book as partly "caricature" and an "exercise in tortured reasoning," but praising the book for "[reminding] us of some facts about our history that make for discomfort." "[Zinn] may be criticized for giving movements from below a heroic aura," one commenter wrote, "but this is not the same as a factual misrepresentation." 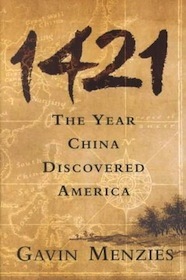 Gavin Menzies's 1421: The Year China Discovered America finished a distant third, with 370 votes ("the book ... is fiction," wrote one reader), followed by Thomas DiLorenzo's The Real Lincoln: A New Look at Abraham Lincoln, His Agenda, and an Unnecessary War at 334 (full of "purposeful lies and distortions," wrote the sociologist, historian, and HNN blogger James Loewen). 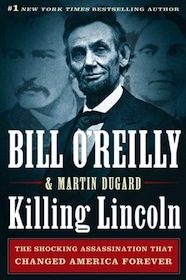 Bill O'Reilly's and Martin Dugard's Killing Lincoln: The Shocking Assassination that Changed America Forever finished at the bottom, with 250 votes. We asked our reader community to send us their nominations for the least credible history books around, and the response was enormous (including an article in the New York Times)! From dozens and dozens of nominees, we've taken the top five most submitted. David Barton claims he is setting the record straight with this book, but that claim is far from reality. Barton misrepresents and distorts a host of Jefferson's ideas and actions, particularly his views and practices regarding religion, slavery and church-state relations. As Jefferson did with the Gospels, Barton chooses what he likes about Jefferson and leaves out the rest to create a result more in line with his ideology. In fact, there were so many problems with his book that we wrote an entire book in response. Barton is not interested in seeing historical actors as flawed human beings. Instead, the founders seem to occupy some kind of exalted position. They are not quite angels, but they are not quite ordinary human beings either. They have been somehow immune to sin, which the last time I checked was an important part of the Christian understanding of what it means to be a human being. 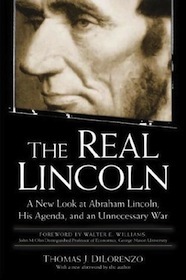 ...The Real Lincoln is seriously compromised by careless errors of fact, misuse of sources, and faulty documentation. Although individually these flaws may seem trivial and inconsequential, taken together they constitute a near-fatal threat to DiLorenzo’s credibility as a historian. To get an idea of how truly awful this book is, consider that its author sneers at what he calls some "pledge of allegiance to the central government." (He means, of course, the pledge of allegiance to the flag and "to the republic for which it stands.") This offhand remark epitomizes Thomas DiLorenzo's feckless treatment of his subject, Abraham Lincoln and his place in the American political tradition. In 1421: the Year China Discovered America, Mr. Gavin Menzies and the team within Transworld of Random House who actually wrote the book, have, with a stunning farrago of deceptions and misrepresentations of sources and scholars, brought false historical writing and intentional public deception to a new level. Not content with creating -- without a single piece of accepted evidence or one unambiguous textual reference -- a 600-page account of voyages to the Americas by the early fifteenth-century Ming armadas, the publishers have classified this volume as “non-fiction” with full knowledge that the book was fabricated by persons who had no knowledge of the Ming voyages and that there had been absolutely no fact-checking in its editorial production. This book was concocted to be sensational, and to create discord by depicting academic historians as unbending conservatives trying to keep knowledge of pre-Colombian voyages from the public. This is thus the Da Vinci Code of the historical realm. Given that this book has sold millions of copies around the world, been translated into more than 20 languages and is now cited as firm evidence of Chinese discovery of the Americas, it can be fairly firmly stated that no book has done more harm in terms of misrepresenting the American (and indeed global) past or in terms of invoking doubts about the Ming voyages as they actually occurred. A People's History is bad history, albeit gilded with virtuous intentions. Zinn reduces the past to a Manichean fable and makes no serious attempt to address the biggest question a leftist can ask about U.S. history: why have most Americans accepted the legitimacy of the capitalist republic in which they live? By convincing several generations of Americans that leadership does not matter and that all beneficial change comes from the bottom, it has played a significant role in the destruction of American liberalism.